Skill is the basis of any occupation. The better the skills of a person, the higher their efficiency and efficacy would be and the better they would perform and earn money. The rules of the game are as simple. In India, certified skills are more important since the competition for a particular job is high. Thanks to the higher population of India. On the other hand, there are a lot of people who are self-employed in various skilled occupation, but most of them are not trained for that skills. They either self-learn it or acquire it from their forefathers. But those who want to employ themselves without a skill are left unattended. The Narendra Modi government at the center has started a scheme with the name of Pradhan Mantri Kaushal Vikas Yojana, which would ensure that the youth of India are trained for respective skills and earn a better living, thereby. There are a number of industrial sectors in India which face shortage in terms of skilled workers and this results to low productivity. At the same time, there are a large number of young people who are looking for better opportunities and higher earning. Considering all these factors altogether, skill becomes a crucial aspect for today’s youth. The PMKVY also plans to provide adequate skill training to the Indian youth through which they can aspire to be employed not only in the country but in the ageing developed countries, where trained Skillman are in high demand. The PMKVY would be launched by the Ministry of Skill Development and Entrepreneurship (MSDE). There is a reward scheme under the campaign that would allure youths to join and enroll themselves for the skill training and certifications. This would certainly be a booster to the country’s skilled workforce and in turn help the nation be a better economy, altogether. The scheme would carry out market driven certification and skill training and would follow monetory incentives after the candidates successfully completes the course. The scheme would target approximately twenty four lakh youngsters across the country within a span of just one year. The scheme would be implemented nationwide through public-public and public-private partnerships. The scheme would carry out certifications and skill trainings in the specific growth sectors or various target industries. The monetary awards that would be honored to the successful candidates would be funded by the Ministry of Skill Development and Entrepreneurship under Government of India. The awards would be transferred to beneficiaries, i.e. the successful candidates through bank transfer based on necessary validations like aadhar card validations, etc. The target of Pradhan Mantri Kaushal Vikas Yojana would be aligned towards the demands of Government of India’s flagship programs like National Solar Mission, Digital India, Make in India and Swachh Bharat Abhiyaan. NSDC would issue necessary guidelines for registering training partners. Even the training providers who are affiliated with the government would have to undergo the due diligence as per the process set by the scheme. The training content under the scheme would be devised considering the requirements for trained instructors, better pedagogy and improved curricula, keeping in line with the third party assessment and certification. As per the PMKVY scheme, all training programs would necessarily include personal grooming modules, soft skill trainings, good work ethics and behavioral change for cleanliness and these would be an integral part of the skill training program. The certification and assessment under PMKVY would be carried out in line with the global and national standards as put forth by the scheme. Under the scheme, even those trainees would be awarded certifications and monetary rewards who already have a prior experience of the subjects envisaged under the program. This would ensure re-skilling and skill upgradation of the existing workforce as well. Any Indian national is eligible to undergo the training and assessment under the Pradhan Mantri Kaushal Vikas Yojana. They would have to under the skill development training in any of the eligible sectors listed under the scheme and they would have to complete their training within a span of one years from the date of launch of the scheme. Any candidate would be eligible to avail the monetary award for just one time and not more than that. That means, if someone is enrolled within a given tenure, he/she could not avail the monetary award for the next time. The monetary award for different sector would be different. However, the average monetary award would come down to approximately Rs 8,000 per candidate. The amount of award would be based on factors like willingness of trainees to pay, cost of training and other relevant aspects. As a matter of fact, there would be higher incentives for training in sectors like plumbing, construction and manufacturing. The level of reward would be on a scale of 1 to 6 and the maximum award one can get would be Rs 12,500 and the minimum would be Rs 5,000. The maximum and minimum amount for Recognition of Prior Learning (RPL) would be Rs 2,500 and Rs 2,000 respectively. The process of fund transfers for awardees would be made transparent through direct bank transfers and thus would be leakage-proof to higher extent. There would be no intermediaries involved for transfer of monetary award. The amount would be transferred directly form the issuing authority to the beneficiary bank account, subject to validate of aadhar number of the candidate. Any scheme can be successful only after its target audience has been mobilized and brought to the mainstream purpose of the scheme. Under PMKVY, the mobilization of candidates would be done from the grass root level thereby bringing into the play all the components of grass root governance like Member of Parliaments, Village Panchayats, district governments and state governments. Various camps in the form of ‘Kaushal Melas’ would be started at all level of populace so that maximum involvement is brought from the length and breadth of the country. These Kaushal Melas would be responsible for disseminating relevant information about options related to skill training programs and the benefits associated with them. These camps would be nodal center of information through which people would come to know how these skill programs would enhance their job prospects and would help them in long run in getting a better paying job, both within India and abroad. There are a total of 543 constituencies across India and necessary efforts would be made so that the scheme reaches all of these constituencies evenly. This would be the only way through which maximum participation could be ensured and Member of Parliaments of each constituencies would play an active role in this propagation. Last but not the least, mentorship is as important as the training imparted. This is why, the scheme would have a mentorship program that would ensure that trainees get the best of guidance and support while during the training program and afterwards. The providers of the training would make sure that they identify eligible mentors for each training program who would guide and support trainees both during the course and after the training is over. These mentors would ensure that trainees get the best job opportunities after they complete their training programs. 9 Target group for implementation Secondary and Higher Secondary school dropouts, lower income groups, Scheduled Tribes, Scheduled Castes, Other Backward Classes, etc. 15 Schemes supported by KVY Digital India, Make in India, Swachh Bharat, etc. Young and educated youngsters, living in states like Arunachal Pradesh always found it difficult to bag proper jobs. It was not only hampering their financial growth but was also crippling the overall progress of the state. The central government has implemented PM Kaushal Vikas Yojana in Arunachal Pradesh, under which all educated youngsters will attain computer training at affordable cost. A new computer training center has already been established at Itanagar. In time, more such training centers will come up, thereby, eliminating the need to travel to Guwahati or Shilong for professional or technical training. As the cost of these courses is low, even poor candidates can get the benefit without worrying about financial arrangements. humara Samity pradhan mantri kaushal vikash yojana ki implementing Agent banna chahata hai, is lia humko kea karna hoga iea janna chahata hoo. 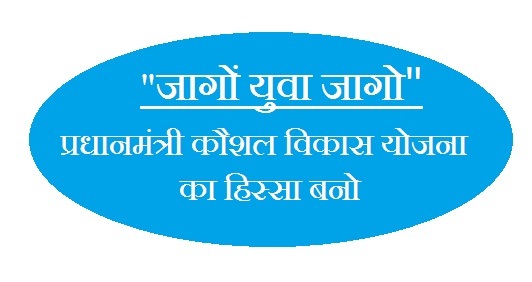 what is the procedure to become a trainer in this yojana….